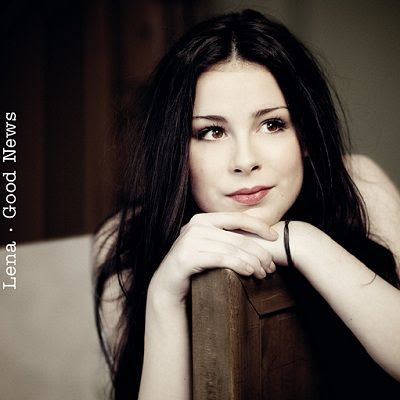 Lena's second album, GOOD NEWS, was released not even a year after her first, and just as MY CASSETTE PLAYER was rushed into stores to capitalize on her victorious 2010 Song Contest performance, her sophomore effort was put together just as quickly to coincide with a TV event about the selection of the song she would perform at the 2011 Song Contest to defend her crown. Given the time pressure, the new album's most surprising characteristic is how relaxed it feels -- especially Lena herself, who sounds comfortable and assured, without any indication that she's trying to prove something. Her charm manages to carry an album of pop songs that are as fluffy as pop songs have any right to be: her down-to-earth persona and her unaffected singing -- a refreshing break from the showmanship of technically proficient, but personality-free voices that are so common in the charts -- make GOOD NEWS an enjoyable and likable listen. The songs were selected from a reported bulk of 600 submissions -- among them contributions from Aloe Blacc ("At All") and Judy Garland's grandniece Audra Mae ("Good News" and "A Good Day") -- and once more, Stefan Raab helms the production, which is never original or edgy (not attributes one would expect from an album like this anyway), but which achieves a warm sound and hints at a sincere love of retro pop, especially on the excellent R&B-tinged numbers "What Happened to Me" and "Mama Told Me." Lena and Raab approach a number of different styles, which sometimes works (the piano ballad "Push Forward") and sometimes doesn't (Lena's turn as a jazz diva on "Good News" is not utterly convincing). The most memorable track is "Taken by a Stranger," which was also selected as her Song Contest song -- an electronically tinged low-key track with an appealing pulse and an interesting sense of tension. As a pop record for the moment, GOOD NEWS works like a charm -- and if "Stranger" is any indication of a future direction for Lena, the third album may be something that listeners should absolutely anticipate. This review was written for the All-Music Guide and first published on June 15, 2011.